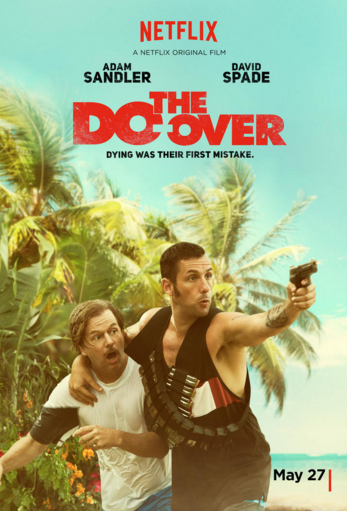 Two down-on-their-luck guys decide to fake their own deaths and start over with new identities, only to find the people they're pretending to be are in even deeper trouble. The movie is a Netflix original film. Like, laugh-out-loud funny. I knew these two would make me laugh, and they did. I appreciated that Adam Sandler didn't use any immature voices, and David Spade is always a riot. I admit, I was surprised by his tame role though. Still, we laughed and laughed some more. Now, I couldn't actually find a rating for it, but rated it R. The content in it is somewhat racy and definitely suited for an older audience. A good hour and a half spent. Laugh out loud funny is a great review. This sounds so good! I've loved every movie Sandler has been in so far, so this is a must see for me! Only in the last few years have I been a fan of Spade, but I love watching him now. I don't have Netflix, but maybe it will come to a Redbox someday! Looks funny!